“Determining ages for stars has always depended on comparing observations to the models which encapsulate our understanding of how stars form and evolve. That understanding has changed over time, and we have been increasingly aware of the effects of stellar multiplicity - the interactions between stars and their binary and tertiary companions. “It’s important to note that there is still a lot of work to do - in particular looking at those very nearby systems where we can resolve individual stars rather than just considering the integrated light of a cluster - but this is an interesting and intriguing result. The paper, Reevaluating Old Stellar Populations, has been accepted for publication by the Monthly Notices of the Royal Astronomical Society (DOI: 10.1093/mnras/sty1353). To read the paper click here. 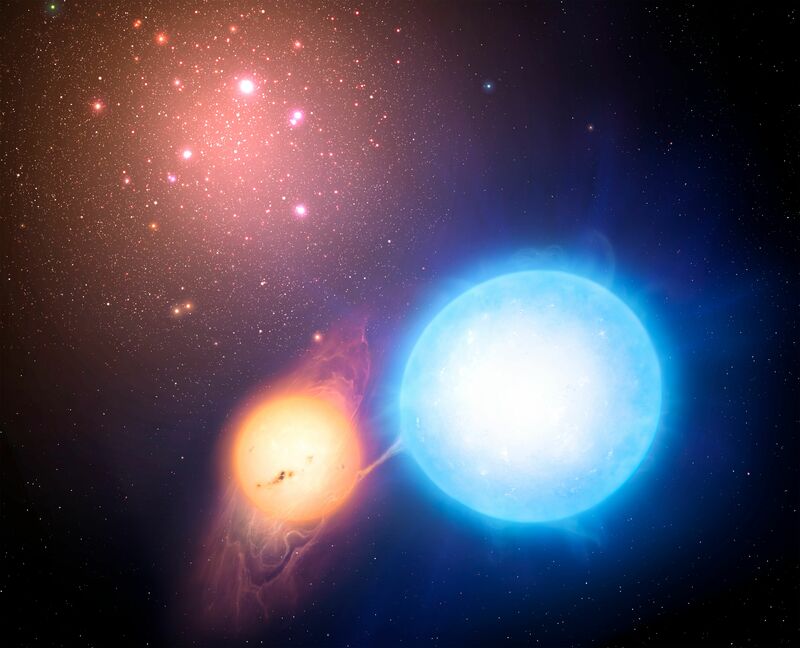 ﻿Image: Binary star evolution within a globular cluster - copyright Mark A. Garlick/University of Warwick. Free to use with credit.